Can’t think of what to do with your sheep’s wool? If you need some amazing gift ideas, then let me give you some you can try out. It will be so much fun! It is that wonderful busy time of the year when everybody is so engaged in decorating their home and making it ready for the cheerful holiday. A lot are beginning to prepare and plan gifts for their loved ones. Your holiday presents will surely stand out if it is one of these amazing sheep’s wool gift ideas. Whenever it’s time to collect wool, I get all excited about what things I can make out of it. Of course, I sell most of them but when I get the chance, I think of what cool things I can convert them to. And with Christmas just around the corner, I’m starting to come up with gift ideas to make and give my friends and family. So if you need some gift ideas, check out this list. I’m sure you’ll find something that will interest you. Pick your favorite essential oils and gift them to your loved ones. These wool dryer balls will make the clothes feeling soft and smelling good the natural way. Your recipient will surely enjoy it! This felted sheep wreath is just too cute. Little sheep from sheep wool, oh-so-pretty in various shades of earthly colors. Here’s something super cute. This will make a great gift idea that will be perfect at any desk as decoration. 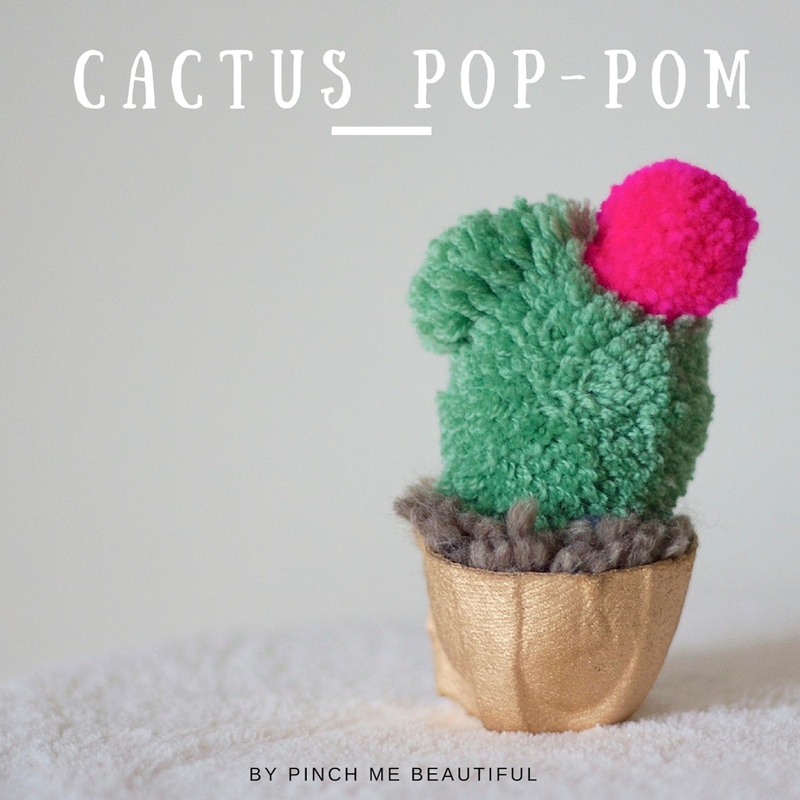 Fun for all ages, so no matter to whom you’ll give it they’ll definitely love this delightfully cute cactus pop-pom. An amazing gift that anyone who sits for almost 8 hours will surely appreciate. Although, this sheep’s wool seat pad will also look good anywhere. Do any of your friends need a new set of coasters? Then start weaving and make these DIY circular woven coasters and surprise them with your weaving skills. I’m sure your effort will receive high praises. This project is on my Christmas DIY gifts. A little something you can make last minute. It’s a jazzy charm to spruce up your keys, pouch, or even your favorite bag. Make 2 or more of this DIY pom-pom key chain to have one for every friend you want to accessorized. Here’s an easy crochet project for beginners. These DIY crochet hats will just be a great gift idea this holiday season to keep your recipient warm and cozy. Okay, this may take time but I’m sure any loved one you’ll gift it to will love it. It’s the kind of crocheted blanket design perfect for all ages. It’s absolutely stunning, I’m so glad I found it. Whoever knew bubble wrap has other uses than a stress reliever? Discover the secret on how to use bubble wrap to create the amazingly beautiful felted scarf, it’s a new way to give a bubble wrap a whole new life. The result, it’s something you’ll surely be proud and happy with! This looks so stunning you’d think it’s store-bought. This fluffy shaggy wool yarn tassel rug was made without the use of sewing machine. It’s really easy and yielded that stunning result that I’m sure everyone will have that envy brows rising. With winter coming, this giant snowball crocheted winter white cowl will definitely keep you warm and spruce up any winter outfit you pair it with. Wool’s exfoliating and antibacterial qualities makes it perfect in cleaning your skin plus the felted soap has come back to the fashion limelight. Making this felted soap is worth all your time and effort. Now you have these 12 amazingly beautiful sheep’s wool gift ideas, gather your supplies and choose the sheep’s wool project that best suits your desire. Add your personal touch and brand your gift with your own unique creativity and taste to give your holiday gifts such warmth any recipient will be proud of. And in case you’re looking for ways on how to repurpose materials found around the house, I’ve got lots of ideas here. What do you think of these sheep wool gift ideas? Which one do you like best? Let me know in the comments below.